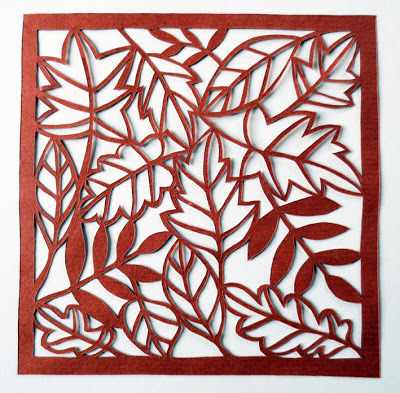 For some time I have admired the work of amazing paper-cut artists such as Rob Ryan, By Charlie's Hand, Emily Hogarth and Loula Belle. Today I decided to have a go myself as the design process is not a million miles away from a lino cut. 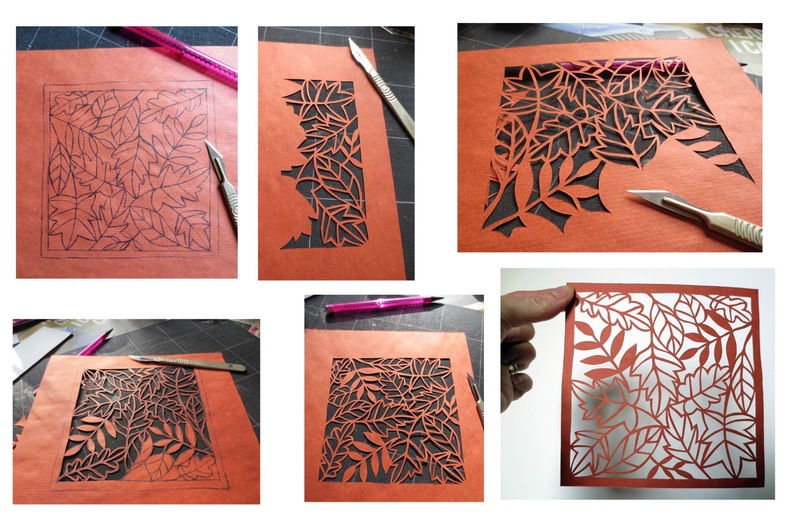 Also the cutting of paper is a lot easier on the fingers than cutting lino, but it was very fiddly and nerve racking as one slip and you've ruined the design. 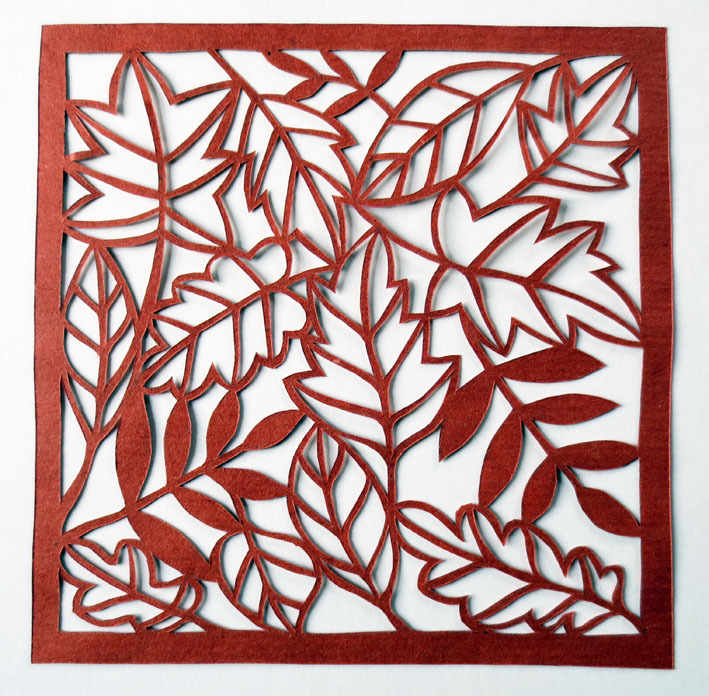 I thought I'd post the cutting work in process. I'm quite pleased with the finished result but I think I'll stick to printmaking or possibly use it as the start of a wrapping paper design. 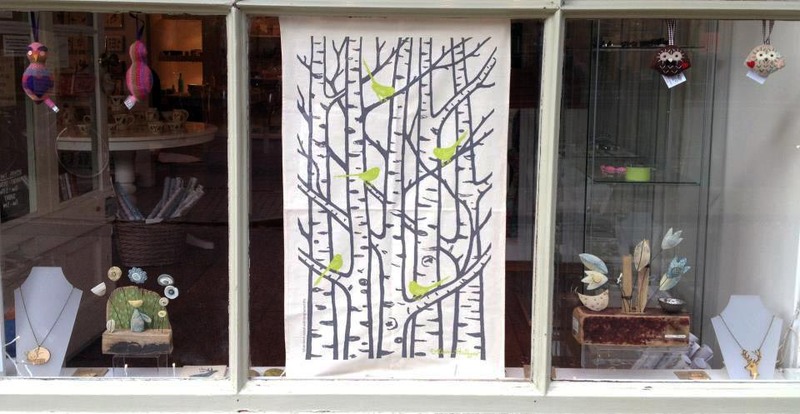 I'm very pleased to announce that Cambridge Contemporary Crafts on Bene't Street (next to the Eagle) are now stocking my tea towels. 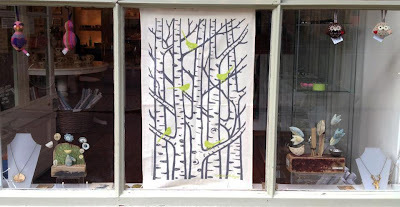 They are in the window next to the very talented mixed media artist Shirley Vauvelle. 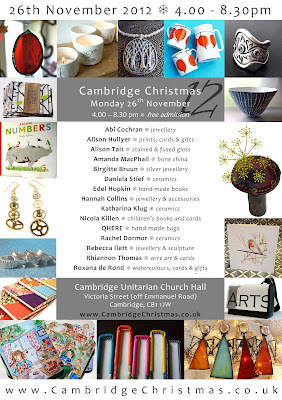 This is the third year for me taking part in this mixed Christmas show in Cambridge on Monday 26th November. 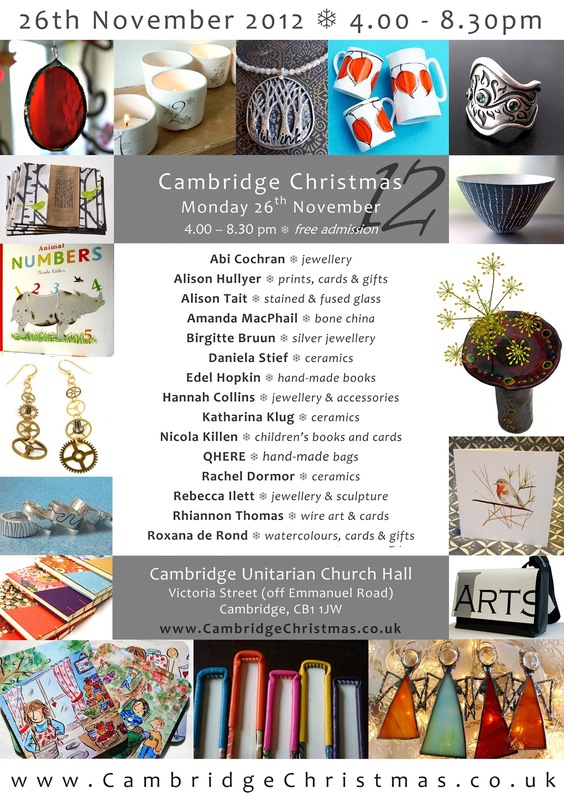 There are some familiar faces from previous years and also new artists and makers who have been specially selected to join us. There is always a lovely atmosphere in the hall with mulled cider and mince pies to add to the festivities. Admission is free.